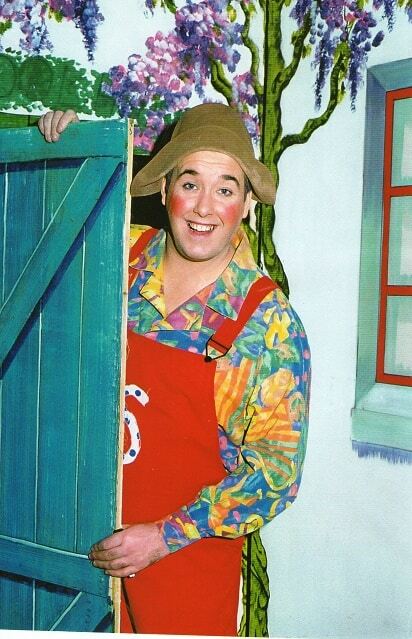 Children’s favourite Simple Simon makes a welcome return to the Winter Gardens, Margate for a new adventure show specially for Halloween! The panto style show is packed with song, comedy and lots of joining in, especially the popular ‘Stage Spots’ where lucky children from the audience are selected at random to get up on stage and take part in games and songs to win small prizes. The new story features Fairy Moonbeam asking Simon and his pet cat Tommy for their help against a powerful and evil wizard by the name of Digbert Dingbat who is plotting to take over the three worlds, and then the universe! He is surprised when his long-lost sister Dinah Dingbat returns to join him in the search for the two halves of a magic Talisman which will give him the power he needs. The Talisman’s are held by two children: Jack Horner and Princess Jasmine, who suddenly find themselves in great danger and need Simple Simon to help save them! Ticket prices have been frozen at £7.50 ( £28 for family of four) but the theatre applies booking fees. Themed games event. There will be (videogame) dragons and other magical beasties at museum. Make your own mask out of clay. Learn techniques and see some of our amazing masks from around the world. Find out what masks are used for in other cultures as you put your new skills to the test to produce a stunning mask to keep and take home. Please wear/ bring along appropriate clothing for working with clay. Suitable for children aged 5 and older. Children must be accompanied by an adult at all times. Please note children under 16 must be accompanied by an adult. Tickets from £8 + booking fee in advance. Ryan Gosling and director Damien Chazelle (La La Land) are back together to tell the riveting story of NASA’s mission to land a man on the moon. This is a thrilling, nerve-shredding, first-person account, exploring the sacrifice and personal toll on Armstrong as he embarks on one of the most dangerous missions in human history. Children’s entry free every day until Sunday, October 28. 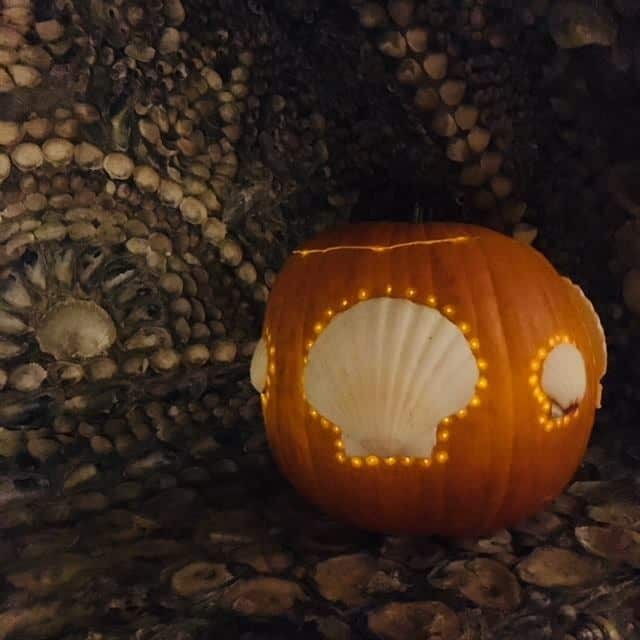 The Halloween decorations up and the Grotto has a design your own Jack-o’-lantern competition sheet for the children. A selection of the finest and best-loved songs from the most successful West End and Broadway musicals of all time. 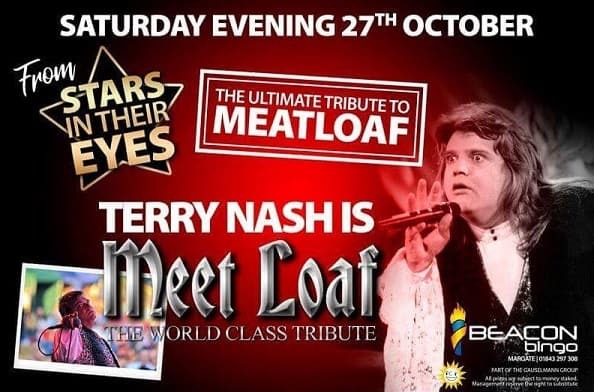 From renowned producers, Regency Productions, join them on this toe-tapping journey – guaranteed to leave you singing in the aisles! Featuring hit songs from Hamilton, Les Mis, Dreamgirls and MORE do not miss out on your chance to see Thanet’s best talent dazzle with their ingenious choreography and unrivalled harmony production. There will be free rock painting, face painting, messy crafts and a story and puppet workshop (booking required). They will also be having a Macmillan Coffee Morning! 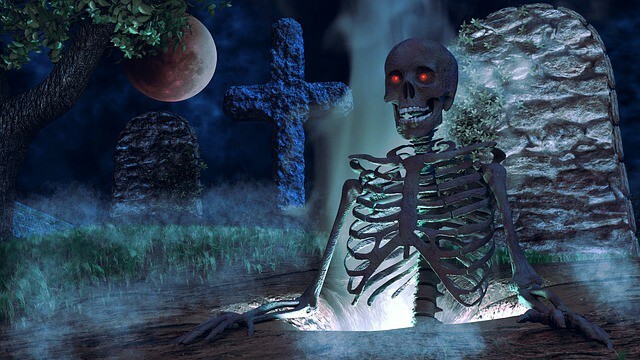 The seven interactive scare mazes are at Dreamland amusement park for seven nights from Saturday, October 13 to October 31 and promise a hair-raising and terrifying after dark thrill experience. 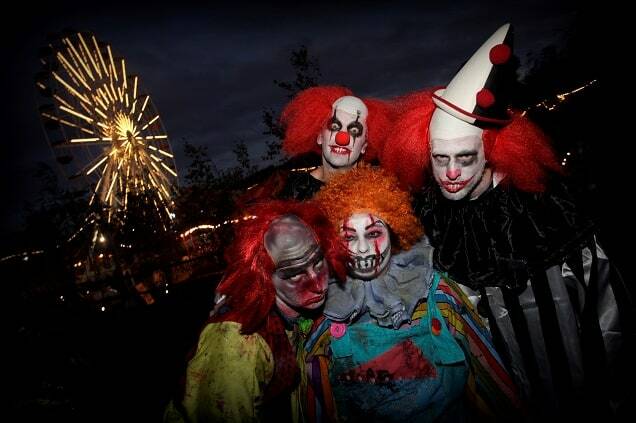 Screamland takes place between 6-11pm on: Friday 26 October, Saturday 27 October and Wednesday 31 October. Groups – believe in safety in numbers? Opt for our group ticket for groups of 10 and over. 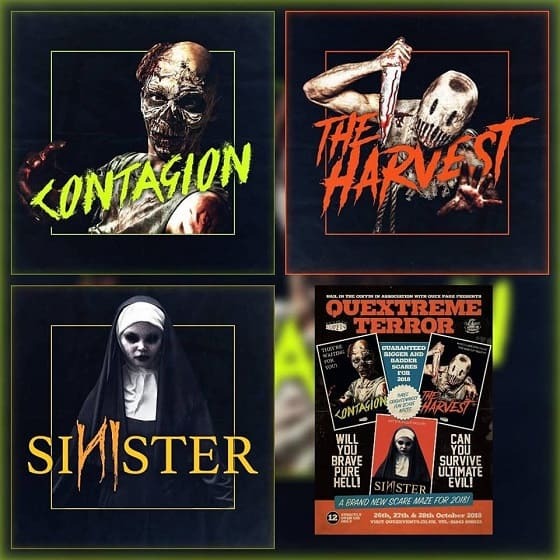 Quex Park in Birchington and Nail in the Coffin productions have created three scare adventures for QuExtreme Terror 2018. The adventures will be within the eerie surroundings of Quex Park’s forest areas, maize field and woodland trails. The Harvest – A stroll through the cornfield has never been so dangerous!!! The Raven Family return to wreak havoc once more. Reports of groups disappearing within the corn continue but hey…. you’re brave aren’t you? They won’t be able to remove you from the group without anyone noticing will they?!…. 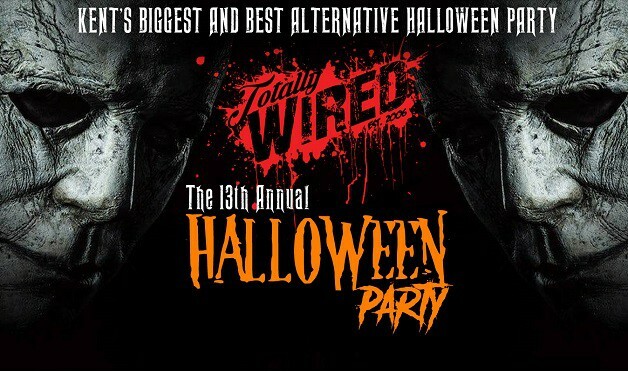 If you have the guts to enter a cornfield full of the serial killer scarecrows, the smell of blood and the noise of power tools followed by tortured screams, we look forward to meeting you…. Contagion: Safe Zones, the areas that sprung up when our civilisation was threatened by the Typhon Zombie Virus, have now become visitor attraction in their own right. Although their actual locations are still top secret, tours around the old facilities are welcomed. You may even get to see some of the old inmates who are kept there in the utmost security and definitely can’t suddenly escape! Sinister-.A Demon has arisen in Quex Park, experts have managed to contain the being within a consecrated area of the grounds but cracks around the area are beginning to show and worries about the beast escaping are increasing. Dare you venture through the chapel and into the catacombs to face this terrifying shapeshifter? October 26-28. Gates open at 6.30pm, last entry is 8.30pm. Standard entry tickets in advance will be £17.50. 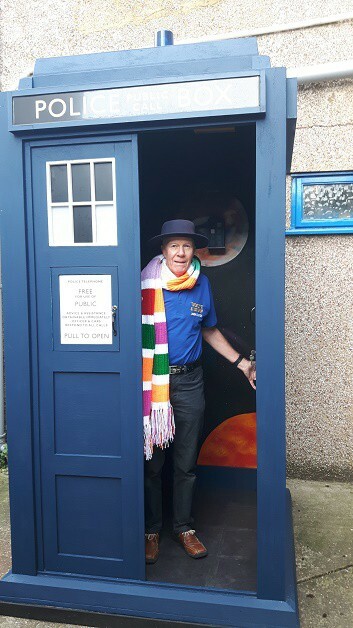 Community bazaar running from 10am to 1pm, will feature a full-size Tardis created by handyman Bill Forrest. The 9ft time-travelling machine includes a mini Tardis and planet decoration inside as well as that all essential Time Lord gadget -the telephone. Craftsman Bill, 67, spent six months creating the work of art and says it is his “last hoorah” project for the church. Art work for the inside has been created by Darren Main and Ian at Eyeball Signs has made the signage and polo shirts with Tardis logos. The bazaar will also include stalls with bric-a-brac, gifts, fashion, fruit and veg, cakes, a slime making stall, jewellery, Christmas sweets, homemade Christmas decorations and more. There will be refreshments in the church’s Tardis Café and an official opening carried out by ward councillor Iris Johnston. The Grand Final of this year’s competition. Table seating, smart dress code. Tickets £10 plus booking fee. Table of 8 available when booked in advance for £75. 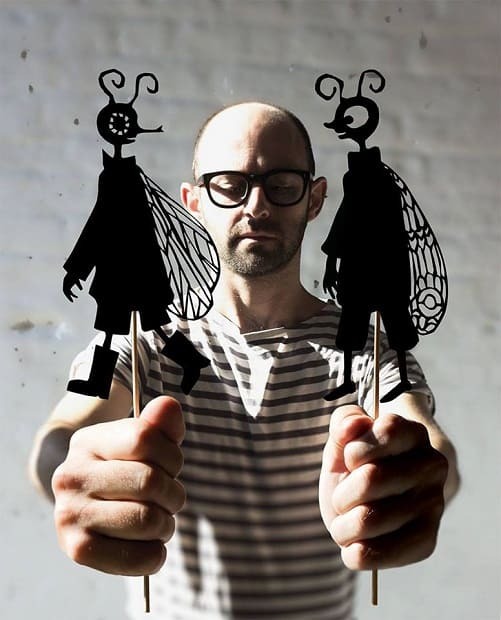 The Matthew Robins Show is a variety show with songs, shadow-puppets, live-animations, made-up games, and competitive audience craft participation.Matthew is a west-country artist and musician and performs stories and songs about monsters, the sea, love, death and animals. Come and hear about Flyboy (he’s half fly and half boy), his friend Mothboy, the Wicker Cat, Evaporina (she sat too close to the radiator), and Walter Knitty. And as it’s Halloween there is semi-optional fancy dress – come as your favourite puppet and you might win a prize for best costume! There will also be an exhibition of photographs and memorabilia from Whitstable’s famous End of the Pier Show, in the upstairs bar, plus the Pete Burns Tombola and an opportunity to buy a special W.Anchorage calendar! Doors and Whitstable ANchorage Klub sideshows at 7pm – show at 8pm. Ireland 1847. The Great Famine rages. An Irish Ranger who has been fighting for the British Army abroad, abandons his post to reunite with his family. Despite experiencing the horrors of war, he is shocked by the famine’s destruction of his homeland and the brutalization of his people and his family. Only one thing is on his mind. Revenge. For one day only, a chance to buy your Christmas cards, wrapping, gifts and more from a variety of local, national and international charities, who come together in the medieval village church to sell their cards, gifts and crafts in plenty of time for the festive season. For those aged 18 and over. The largest illustration and Print Fair on the south coast. One fair at two venues. Margate Winter Gardens hosts 55 exhibitors and at Turner Contemporary 20 exhibitors, Free entry. 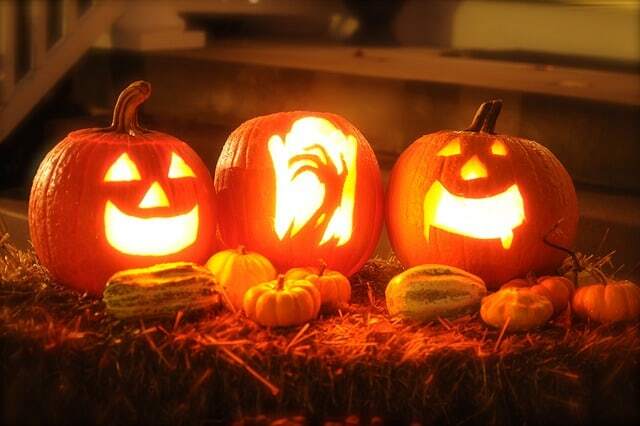 Free children’s party between 1pm-3pm with prizes for pumpkin carving, best dressed, and so much more to keep the little ones entertained! Competitions, candy and the highly anticipated Halloween Dogs Parade is back! 5pm Halloween Dogs Parade in Market Square, Old Town. Dress your furry friend in their most fearsome attire. Prizes to be won! Free to enter, just turn up with your pooch! Kindly sponsored by Hiro & Wolf. 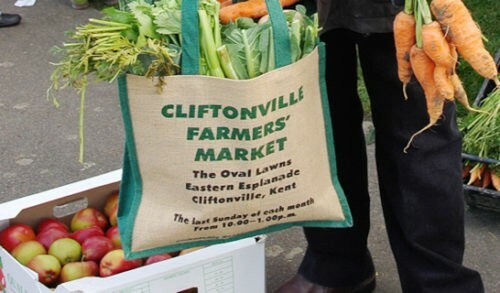 6.30pm Old Kent Market hosts a fancy dress competition for tiny humans and their adults. Come in your most fearsome attire for your chance to win some prizes! Children’s Halloween party for youngsters up to 11 years. Party games and music. This is a very popular event and usually sells out in advance so you are advised to purchase tickets as soon as possible. Adults and Children £3. Tickets on sale from Expressions and Malcolms in the High Street, the Bottleneck in Charlotte Street and the Pavilion. Drop into the Clore Learning Studio on Sundays to create your own masterpiece with our friendly Navigators. Be inspired by the light and colour in the works of art around you and explore new materials with collage, mirrors and lots of bright colours! On the last Sunday of each month the Palace Cinema and Wall of Sea present a silent classic with Lillian Henley’s live accompaniment on piano. A simple real-estate transaction leads an intrepid businessman deep into the superstitious heart of Transylvania. There he encounters the otherworldly Count — portrayed by the legendary Max Schreck – who soon embarks upon a voyage to take up residence in England… and establish his terrible dominion over us all. An iconic film of German expressionist cinema and one of the most famous of all silent movies, F. W. Murnau’s Nosferatu: A Symphony of Horror continues to haunt modern audiences with the unshakable power of its images.